German Marquez improved to 3-1 on Wednesday versus Washington, allowing three runs on eight hits over seven innings. Marquez struck out seven and walked two as the Rockies went on to win 9-5. The 24-year-old gave up three runs through his first three innings today before quieting down after that. Marquez now owns a 2.54 ERA on the season and it's looking like last year's second half breakout is here to stay. 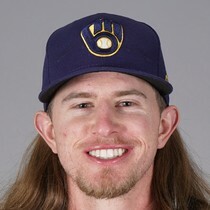 He gets another tough test versus the Brewers next time out but fantasy owners have no choice but to keep starting him. 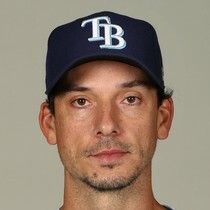 German Marquez took the loss on Tuesday versus Atlanta, allowing five runs on seven hits in five innings of work. Marquez struck out two and didn't walk anyone as the Rockies dropped this one, 7-1. It's definitely a let down after Marquez dominated in his first two starts, but performances like this should be expected with any starting pitcher who calls Coors Field home. Marquez is lined up to have much more favorable results in his next start versus the Giants (on the road). 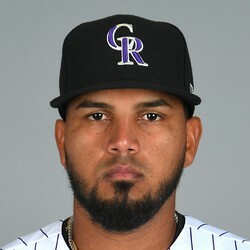 German Marquez received a no-decision on Wednesday in Tampa Bay, striking out seven over seven shutout innings as the Rockies won 1-0 in 11 innings. 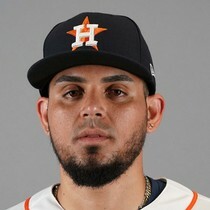 Marquez allowed just three hits and three walks in his first start since signing a five-year, $43 million extension with Colorado. The 24-year-old has been dominant since the second half of 2018. Over his last 15 starts Marquez now holds a 2.05 ERA to go along with 132 strikeouts in 101 innings pitched. 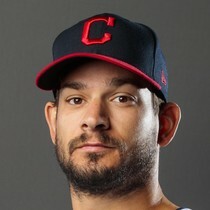 His next starts should come at home against the Braves.